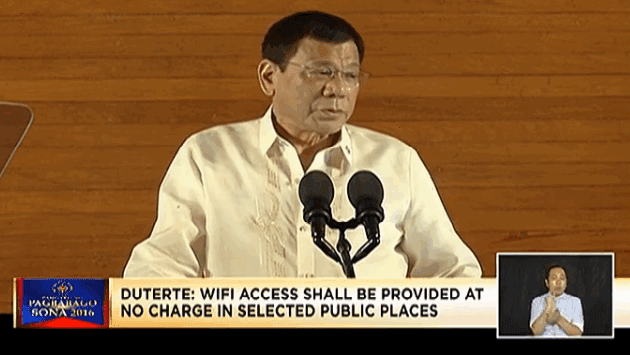 MANILA, May 3 (PNA) -- The House of Representatives has approved on third and final reading the proposed “Free Public Wi-Fi Act”, which will provide stable wireless internet connection in public areas across the country. The lower chamber, during its resumption of session on Tuesday, approved House Bill 5225, which mandates the government to install broadband hotspots in public areas that will provide a stable and reliable wireless internet connection at all times. The Senate version has been passed last March 13. According to HB 5225, areas that will be provided with broadband hotspots shall include buildings of national and local government offices, public schools, and state universities and colleges (SUCs) and other public places such as railway stations public transportation terminals. Fees will not be charged to the users that will connect to the internet using the public broadband, hotspots, or the free public Wi-Fi network. Administrators and managers of public broadband hotspots are prohibited from collecting user data from the people who will connect to the public Wi-Fi. Under the bill, the Department of Information and Communications Technology (DICT) shall provide the internet connectivity necessary with a prescribed minimum internet speed of 10 megabits per second (Mbps). One of the principal authors of the bill, Kabataan Rep. Sarah Elagao, said that this is the step towards the realization of a better internet. "We expect to take further steps towards democratizing access to the internet, to propel the economy, and consequently increase access to information, once this is signed into law. This will help in fighting misinformation and public manipulation," Elago said.